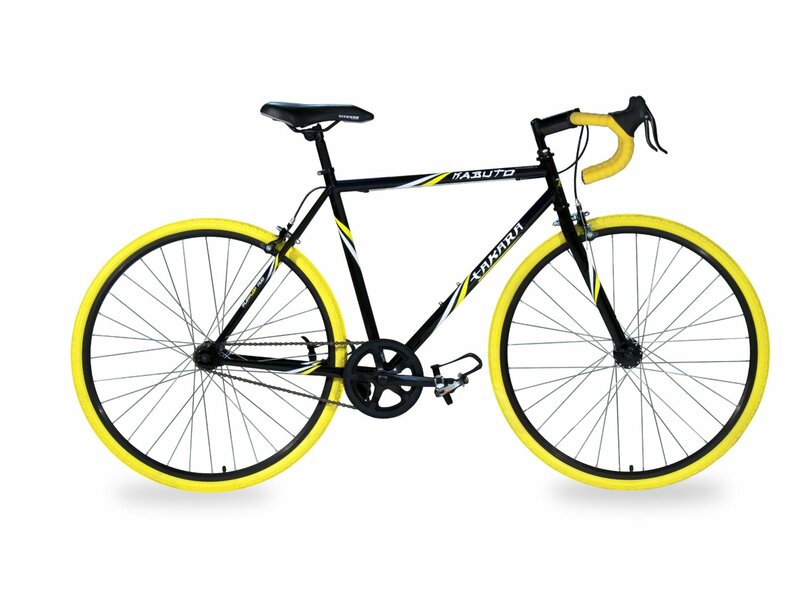 Home » Reviews » Takara Kabuto Single Speed Road Bike-Is it the best for entry level riders? No doubt there are unlimited numbers of efficient and professional road bikes and every one of them has been built with different kind of materials and offers various price ranges. But when you turn to pick one, it does matter which one is affordable and suit to your skill and height. Although, if you spend thousand bucks or more of course you can store out a quality and powerful bike. But, being an entry level rider you shouldn’t be expensive at the beginning as you have to follow the expert’s thoughts. So to grow you up with excellent cycling skills Takara Kabuto Single Speed Road Bike come up with all useful features that a newbie expects. Actually, every beginner has a dream to commute and explore the city’s road and at the same time they would also love to have a bike that makes the ride enjoyable. Takara Kabuto is the one that ensures a complete easy to operate system and offers an enjoyable riding opportunity as it’s a single speed star on the road. Although a bike with a wide range of gears and powerful disc brakes has extra quality & value, but it’s a bit uncomfortable to optimize for the new riders . So it’s better to initially get off those kind of powerful stuffs and should make a deal with a beginner bike that something like Takara Kabuto. 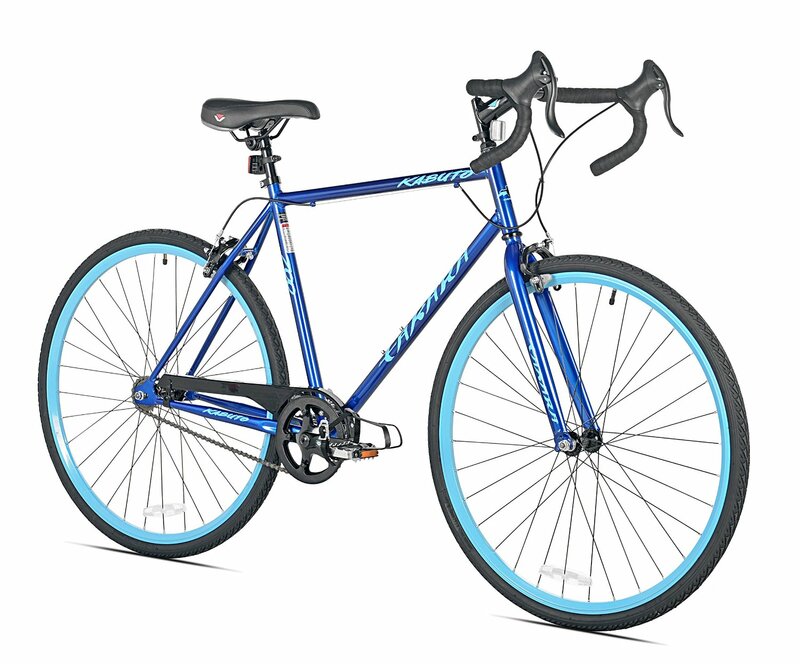 Takara Kabuto Single Speed Road Bike has been designed for the persons who love commuting & workout. It uses durable steel material to build up the frame while it provides better quality than an aluminum frame. The bike available in several colors & sizes, including large, medium and small. So you can choose the right one that goes fit to your height. On rear wheel the bike used a flip flop hub that turns the gear fixed as if the rider can ride it without any worries of timely shifting. It also features alloy linear pull brakes on both rims that work immensely on every request and it stands out over two alloy rims and Kendra tires that will make you able to be conquered on any condition of the road. To suit the bike to any height Takara made three different sizes as if you can easily pick yours. Especially the riders those are 5 feet 10” to 6 feet 10” tall can get fits to the large size and according to the sequence people those are smaller than 5 feet 10” can choose other available sizes. Although the color would vary with the sizes. Takara Kabuto has come with lots of useful & remarkable features that make the bike quite popular and here we mentioned the top of them. Strong steel frame with large wheels. Alloy rims and Kendra tire on both wheels. Single speed gear with Flip Flop hub on rear. Various colors and sizes for different body height. Rim brakes on front and rear. Every product has its strong side and Takara Kabuto isn’t against that. Although we have discussed all of the positivities of it. Undoubtedly it’s a bike that brings the smoothness on riding and offers you a fast & long ride with all durable components. The key pros of the bike are its body, design, wheels and single speed gear that compatible for every entry level rider. Out those great sides, it has also few weaknesses, but that doesn’t affect the strong sides of it. You may need to change the brake of it after a few months of buying and the tire wouldn’t be long lasting. So better to replace when it starts to give unexpected performance. Overall, I think every beginner would be impressed by the performance of Takara Kabuto. Although the professional and skillful riders wouldn’t choose it, but if you are the one who looks for the first road bike then you shouldn’t avoid it. Whatever It has that would provide a great value for your money.